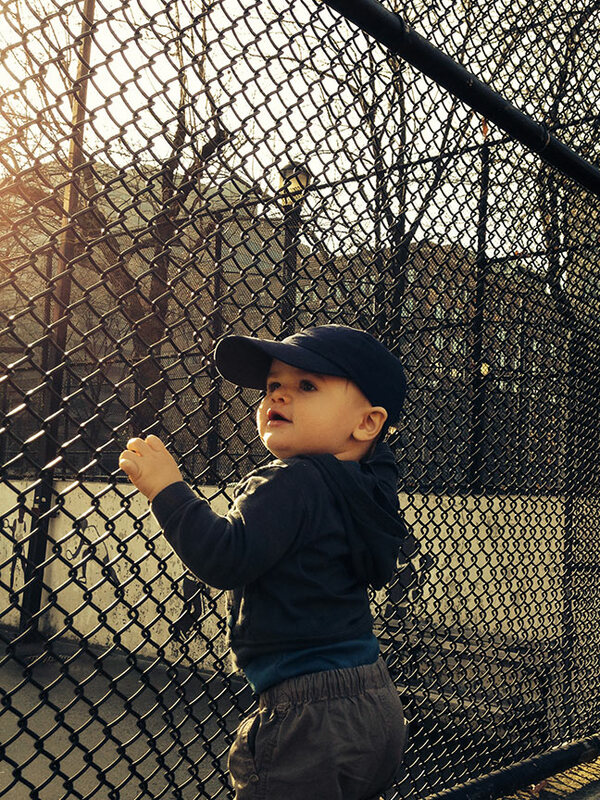 Grabbing the chain-link fence at James J. Walker Park. Oh Man!!! I want this one in a frame!! Its a keeper! He is so damn cute, and that Hat!!! He has the best life!